Family Vision Care's Contact Lens Consultation is a specialized eye exam for prospective and current contact lens wearers and a discussion on the best contact lens options for your age and lifestyle. A complete patient history, general eye health exam, visual acuity tests, binocular vision check, and refraction measurement - identical to those performed in FVCA's Adult Eye Exam. Additional Keratometry studies to measure the cornea of your eye. This is one of the most important pieces in choosing and fitting contact lenses correctly. Other specialized tests specifically for contact lenses may be done at this time as well. 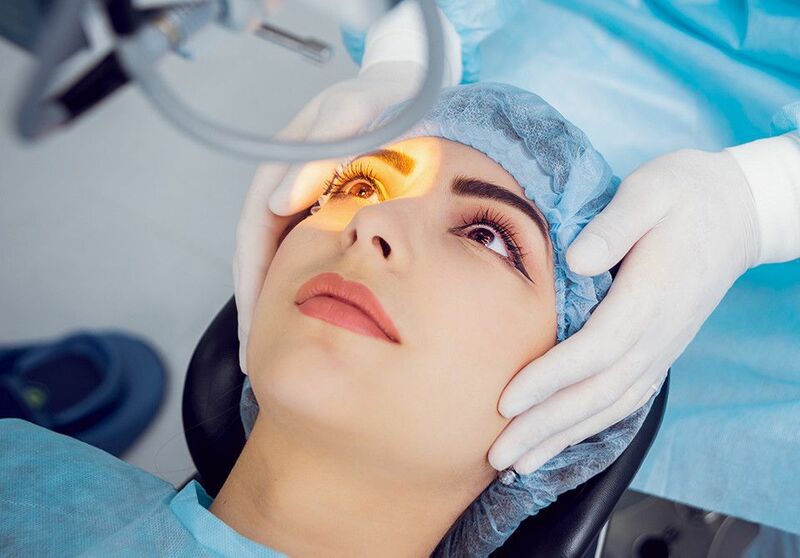 Your pupils and irises may be measured, for example, or additional studies on your cornea (corneal topography) may be done to fine-tune your contact lens "prescription". You will also be tested wearing trial lenses for proper fit, and your eyes will be examined with a biomicroscope to ensure the best fit. Once the tests are completed, your FVCA contact lens specialist will share the results with you and explain which types of contact lenses you may choose. What Type of Contact Lens to Choose? A key part of our Contact Lens Consultation is how frequently you'll be wearing your contact lenses, what you'll be doing while wearing them, and the most comfortable type for you to wear that provides optimal correction for your vision. Hard Lenses (Rigid Gas Permeable) or Soft? Your lifestyle and vision prescription play vital roles in this choice. Tinted versions. Bifocal contact lenses. Monovision contact lenses. Daily Wear or Extended Wear? You can sleep with extended wear contacts. Your FVCA eye doctor is a trained contact lens specialist who will help you make the right contact lens choice. Contact lenses reduce distortion, don't fog up, and in general don't get in the way of your daily activities. In general, they offer better sight than eyeglasses. However, you have to clean and store them properly, wear them only when you are supposed to and make follow-up care appointments. There are pros and cons to each type of specialty contact lens, and to contact lenses versus glasses in general. The optometrists at Family Vision Care Associates are contact lens specialists - dedicated to finding the most comfortable fitting lenses that help correct your vision at the same time. Contact us today to get started with your new contact lens program.